Backup Files like Photos, Songs and videos are very important. We capture each movement and keep it as a memory. And we can not think of losing them. So to keep them secure it is very important to take regular backup your phone pictures, songs, and video file. Here i will tell you How to backup media in Android phone. Well best way to do this is by regular copying your phone data to your PC. You can easily transfer files from Android phone to PC and can secure your data. Otherwise if you want to keep them safe online, there are certain Android phone backup apps that give you free multimedia storage. You can also backup Android data on Google cloud. Here i am listing some of the best way to backup Android photos and other media. 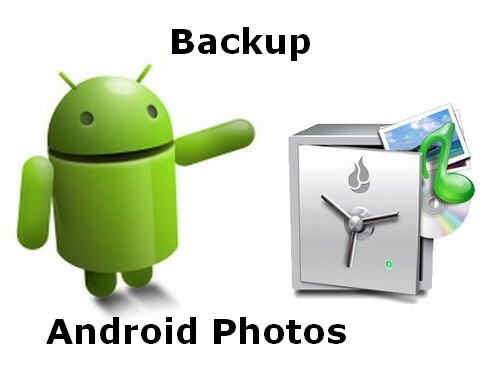 You can check these methods to backup Android data and can secure your phone data. Over the day by day smartphones have become more capable than the previous one, which is great but also challenging too. The biggest problem faced by the android user is, there is no way to extract data and information like text messages, Books, and apps. To do that Coolmuster Android Assistant backup utility software will help you out. The software is very simple and easy to use for anyone. You just need to plug in your android device and it will show you how many messages, apps, books, images, videos, and contacts you have in your smartphone. To extract them you just need to click any of them and extract it. It will save into you system fro forever. If want to delete any thing from the storage than also the software will let you do that. The Address book can also extract in the format of CSV, VCF, Html, and Backup file. The coolmuster android assistant backup utility software is one of the most recommend software to backup your data with in some click. SurDoc gives you free storage of your precious photos, music, videos, and files. It continuously and automatically backup all your computer data. So you can restore all your data in case of your computer crash. So with SurDoc you can access your computer or phone data from anywhere with your PC, tablet or smart-phone. So you do not need to carry your laptop anymore. SurDoc gives you 100GB free cloud storage online but it is limited to one year only. Recently Google has launched this photo app to backup Android photo on cloud for free. There are lot of free space and you can easily backup your photos with this. You just have to install Google Photos app in your ANdroid phone and then it will sync all your photos, you can also check your photos on Google plus or Google drive. The best in this category is the Google. With Google+ Android app installed in your phone, you don’t have to worry about your phone data. It will automatically upload all your photo and videos taken by your device camera to Google servers. And is free for lifetime and easy accessible. But it is limited to 15GB of storage. So you can choose from any of the services and get free of your data lose problems. Best way to backup Android photo is Google cloud or Google Photo APP.